There is no sincerer love than love of food! Well, that’s followed by folks of World on a Plate! After the grand success of various events at different venues, The Corporate Master Chef by World on a Plate 2017 happened at VR Bengaluru. It was privilege for me to witness complete event. 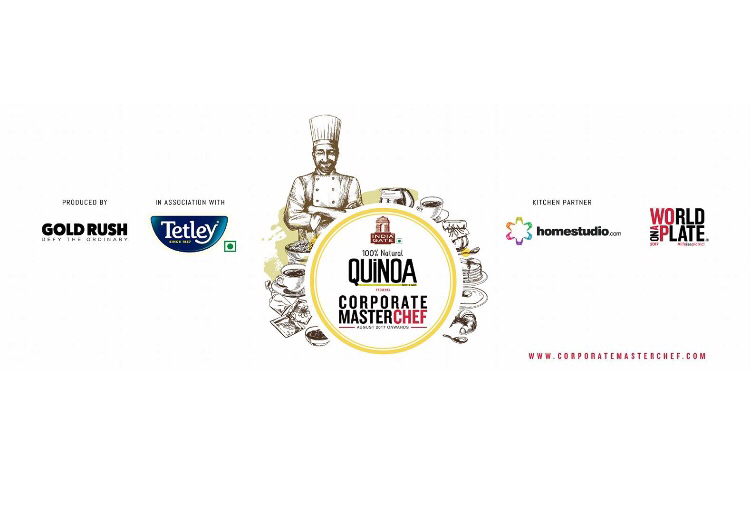 What is Corporate Master Chef? 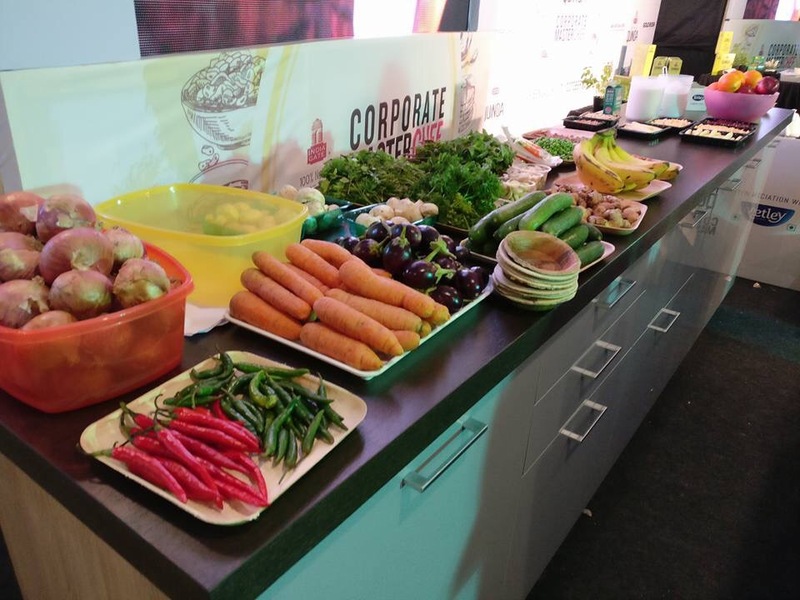 It’s an event hosted by World On a Plate every year to pull the culinary expertise of corporate individuals. It’s not an easy task to get the “Corporate Master Chef”. Since the contestants has to go through toughest rounds and should impress with their gastronomic skills to renowned judges and critics. When did this happen? There was multiple sub events happened before the Big Day (7th October). 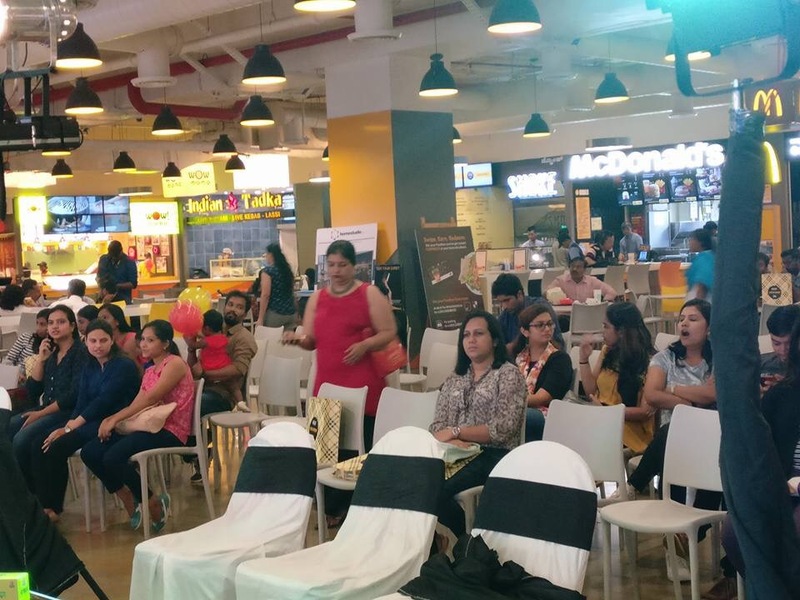 On 7th Oct it was started with Round 1 of Corporate Master Chef, Masterclass by Chef Abhijit Saha, Bloggers Cook- Off Event followed by Round 2 of Corporate Masterchef. It was a full day fun-filled event with lot of learning. Who are the Judges? Team World on a Plate has strategically chosen some of the best personalities like Chef. Abhijit Saha, Waseem Khan and Manoviraj Khosla! Chef Abhijit Saha – He is one of the best chefs in Bangalore and first one to introduce Molecular Gastronomy through his renowned restaurant “Caperberry” in UB City. His culinary knowledge is massive. He is also Founding Director for Avant Gard Hospitality Pvt Ltd. His restaurants Fava and Caperberry have won multiple awards within short span of time. Waseem Khan – A celebrated Lifestyle & Fashion Photographer and popular as “Waseem Khan Photography” He travelled across many countries and did the projects over 25 + years and most of us don’t know that, he is one of the best Food Photographer too. Being a Food Photographer, I am sure he deserves to judge the food presentation. Manoviraj Khosla – A name to figure with in the world of fashion, studied fashion at the American college in London. The Manoviraj Khosla Studio was setup in Bangalore in the year 1990 and very popular across India. How did the event go? As I mentioned earlier, it started with Corporate Master Chef Cook-Off. 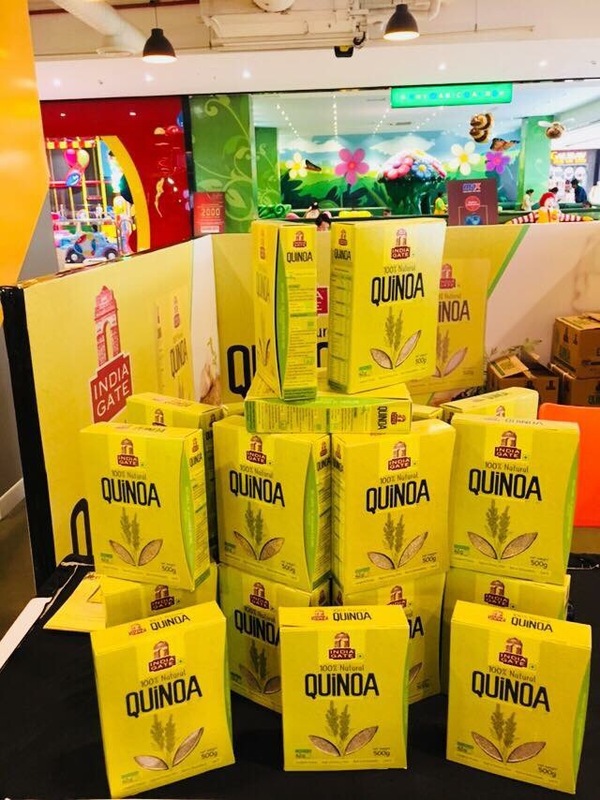 In the Cook-Off event, the contestants have to make use of India Gate Quinoa and Tetley Green Tea in all the dishes along with ingredients from Black Box. They have to prepare 3 Course Meal (Appetizer, Main-Course and Dessert). Precisely, India Gate is endorsing Quinoa and at the same time Tetley is also on Green Tea to stay fit and lose weight. It’s a great breakthrough; if people incorporate this Super Food often it will be good. Winner will be decided based on the usage of Quinoa, Green Tea, Presentation, preparation, hygiene and knowledge about the dish. Basically, folks should be strong enough to explain and answer for all the questions when judges ask. When it comes to Bloggers Cook-Off, it was same. However, they had to make only one dish. First round was a group challenge, where the finalists were divided in to 4 groups and instructed to make 2 dishes. Out of four groups, one group was cleared and all four members had to prepare a dish individually within 45 Mins. Well, the Winner is Sanghamitra, Corporate Master Chef 2017. It’s an honor for me to have “Winner” crown under bloggers cook-off category. What did I prepare to get Winner Crown? Well, I did prepare Upma using quinoa. I have followed the way our regular Upma being prepared. However, it took little more time because of Quinoa. I have presented in very simple way. Precisely the way mom presents the food at home! Overall, it was a great event and special thanks to Santhosh Naik for making everyone engaged! I would like to thank India Gate, Tetley, Gold Rush, homestudio.com and World on a Plate for having us.